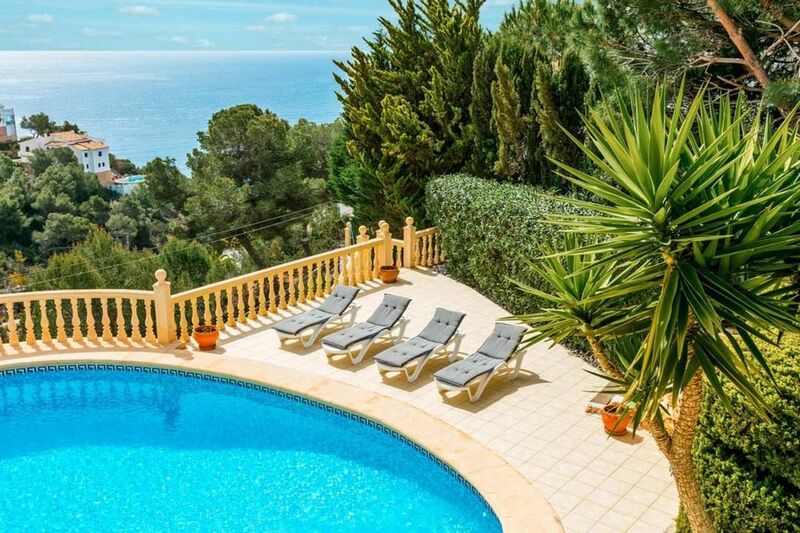 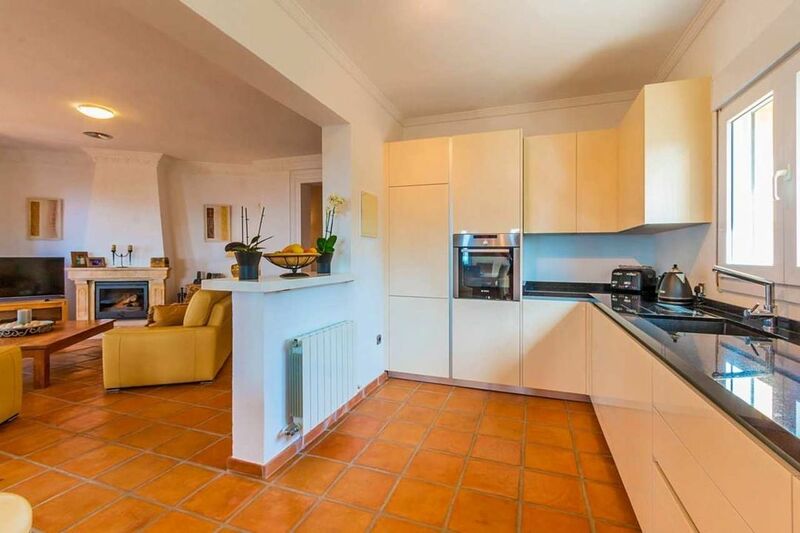 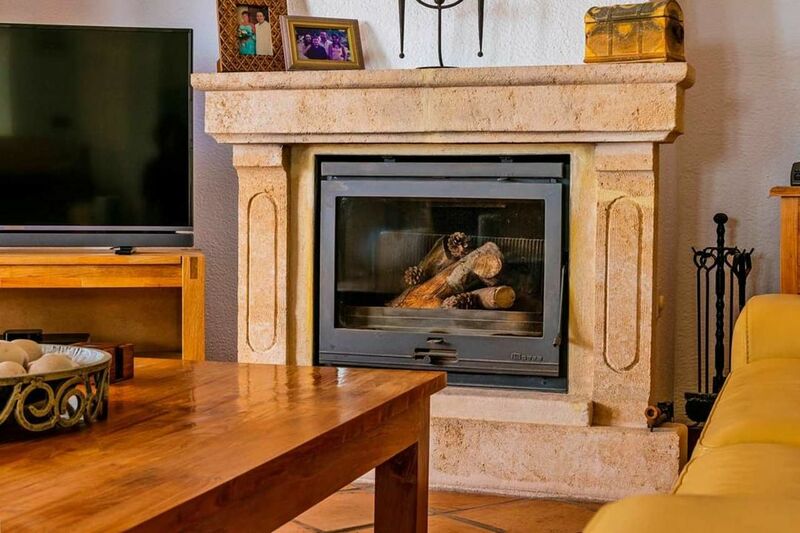 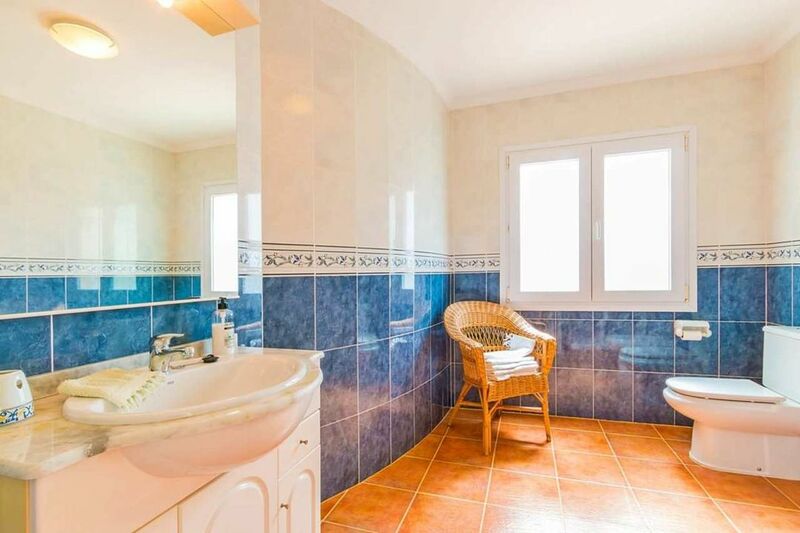 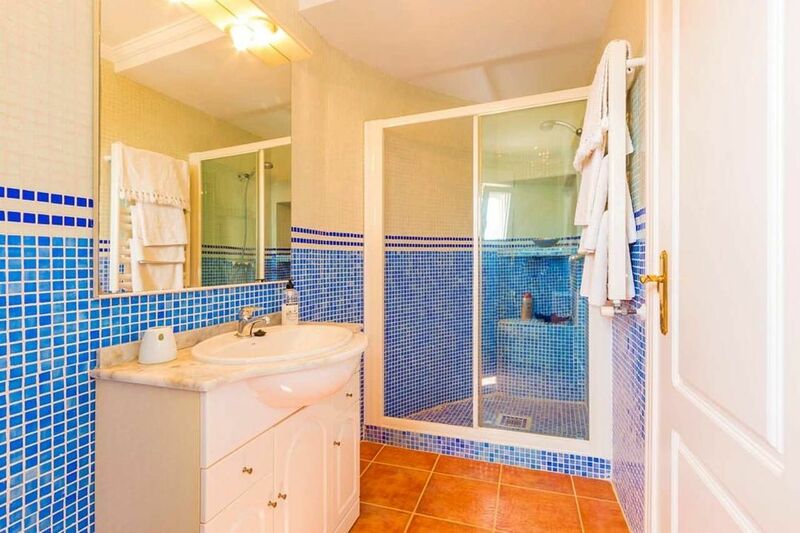 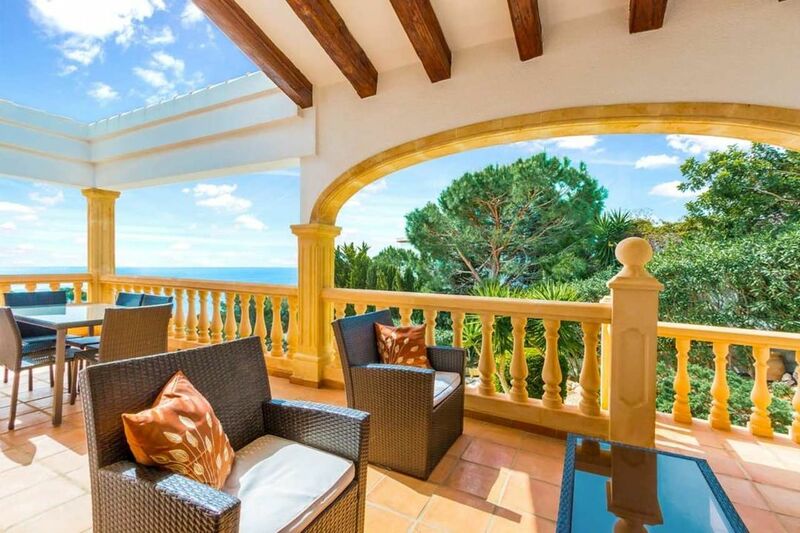 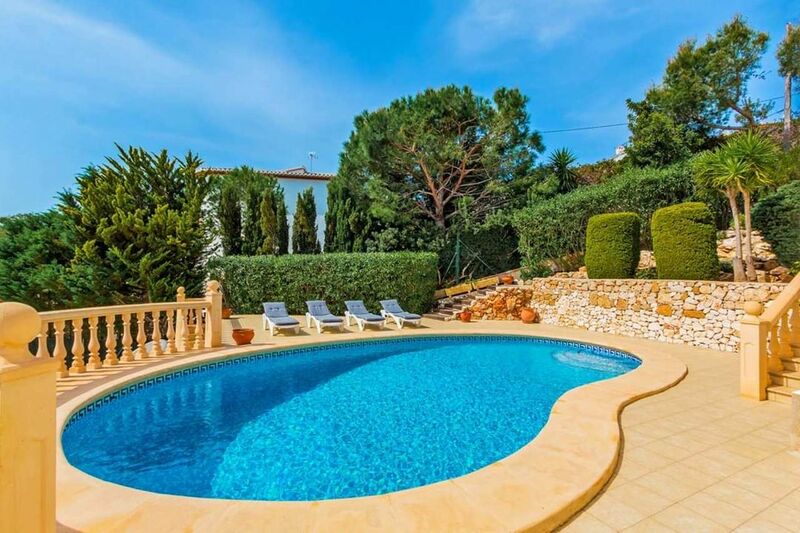 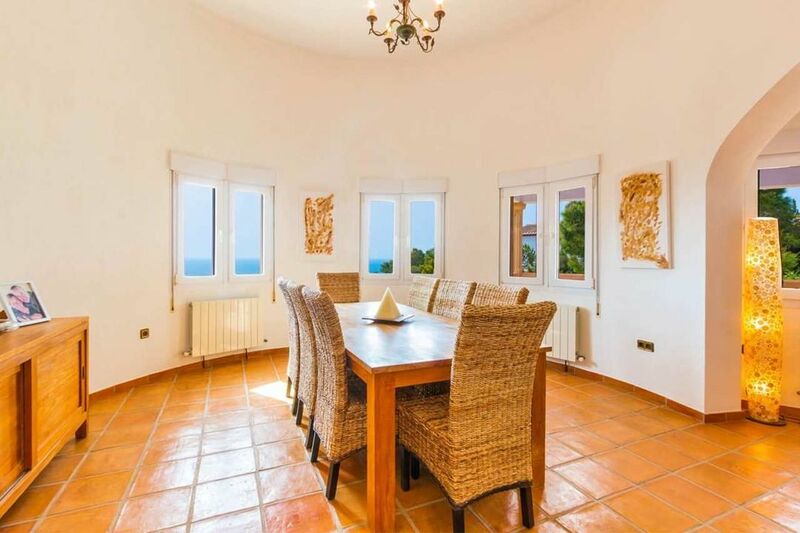 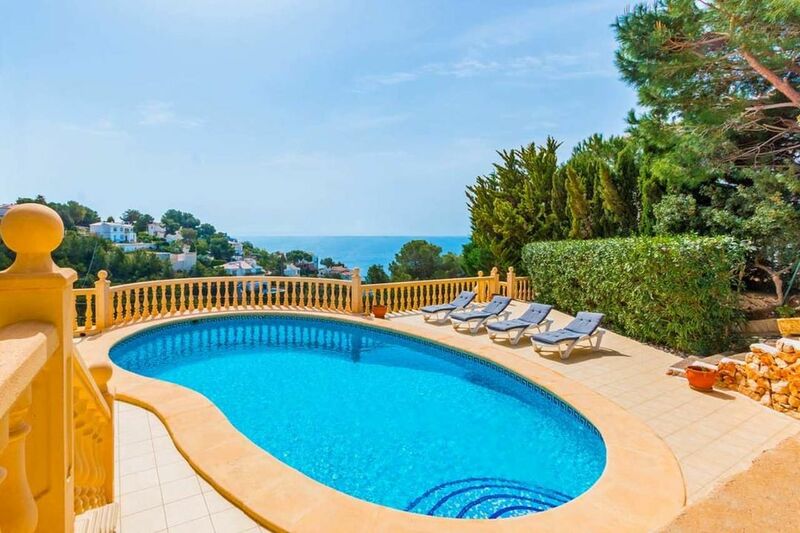 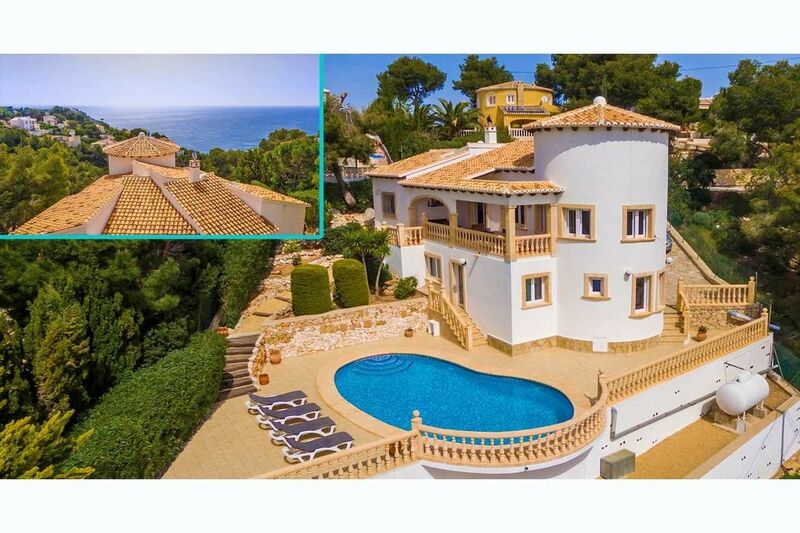 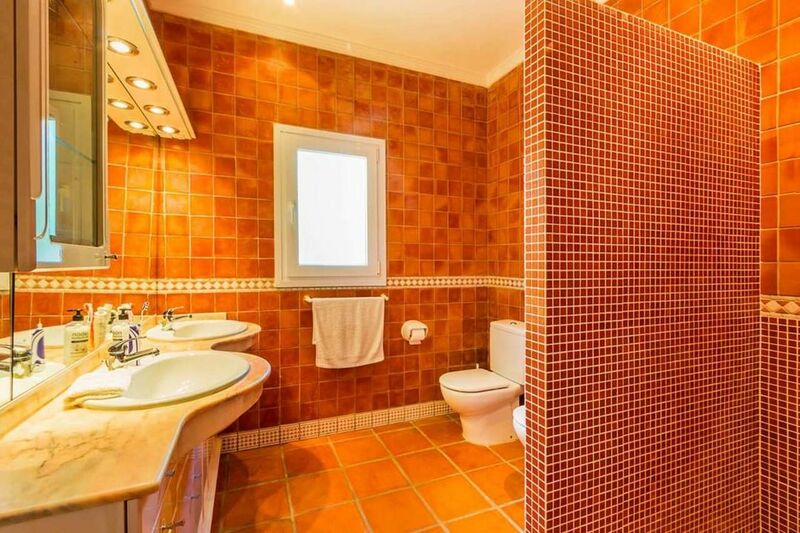 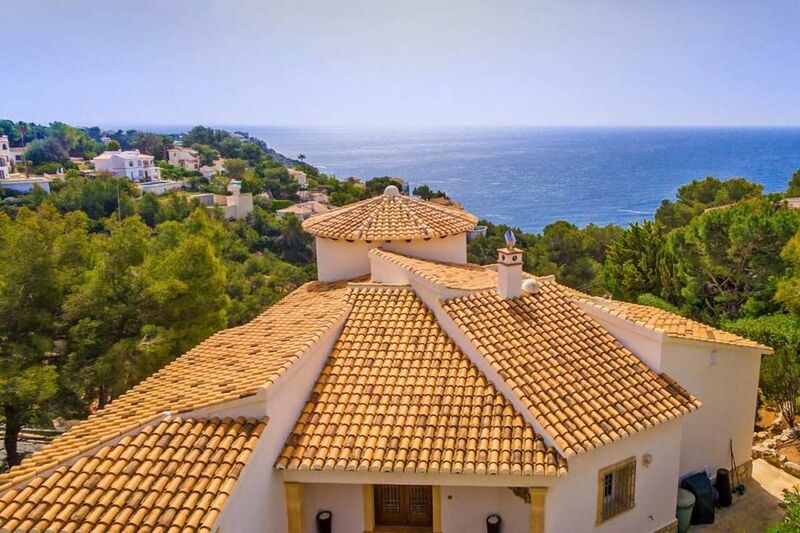 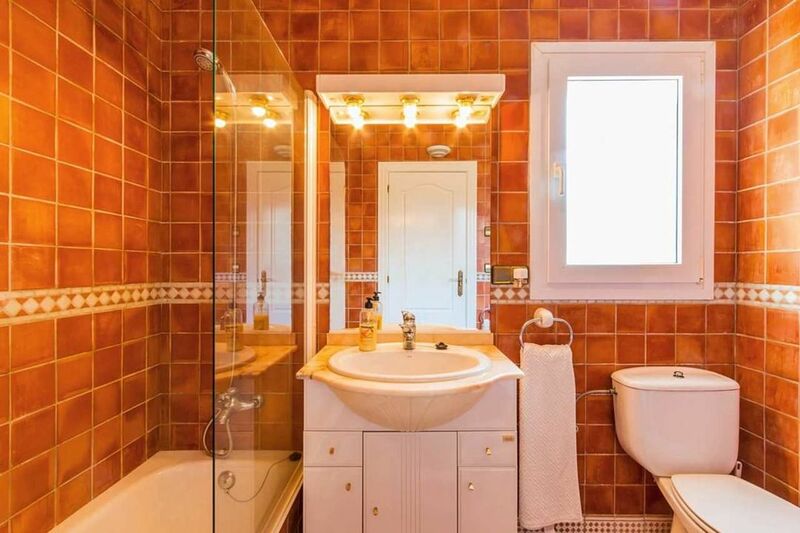 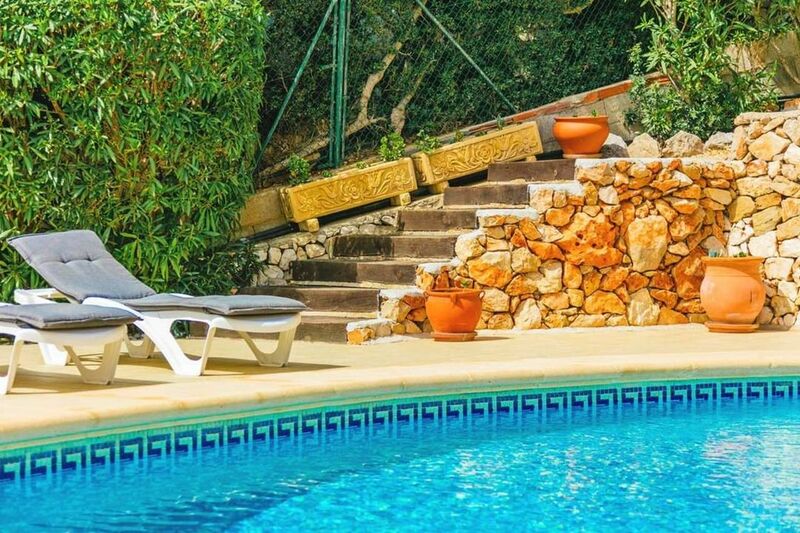 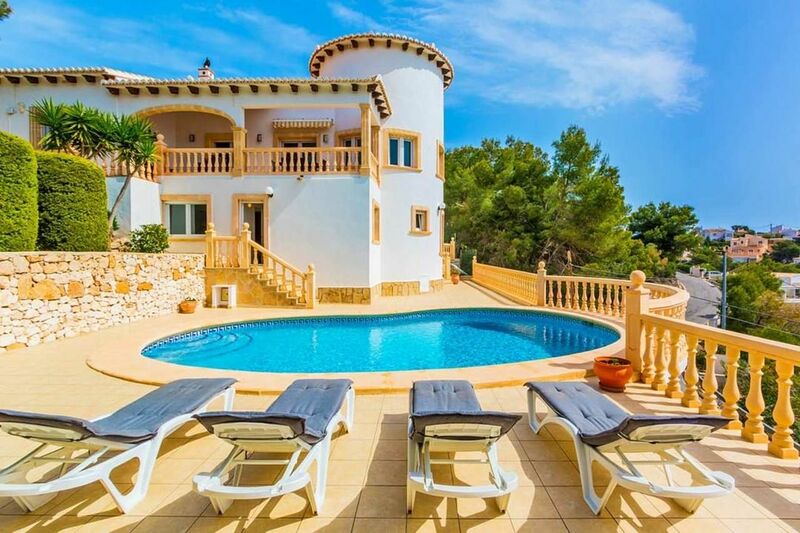 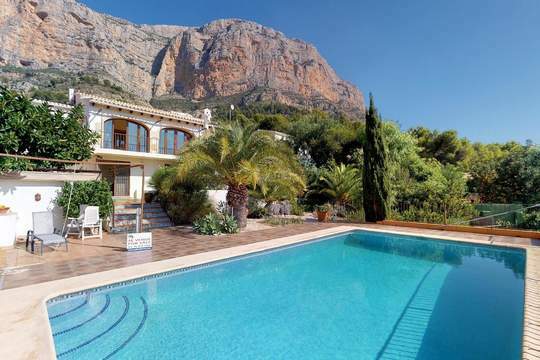 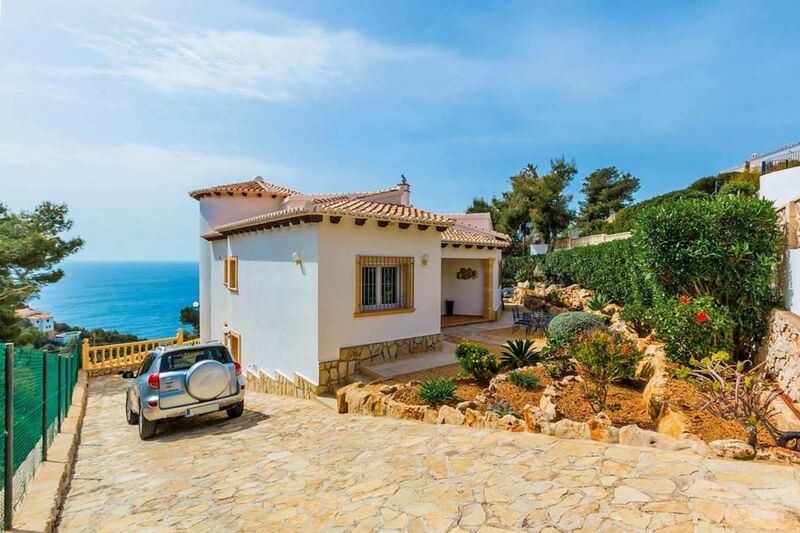 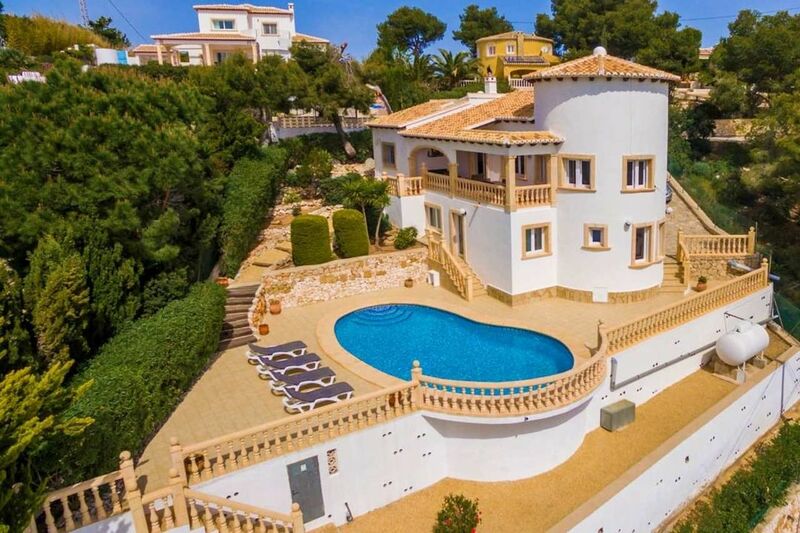 For Sale: Located close to the beautiful cove of Granadella in the Costa Nova Marina area of Javea, this 4 double bedroom, 4 bathroom villa boasts lovely open sea views with southern orientation. 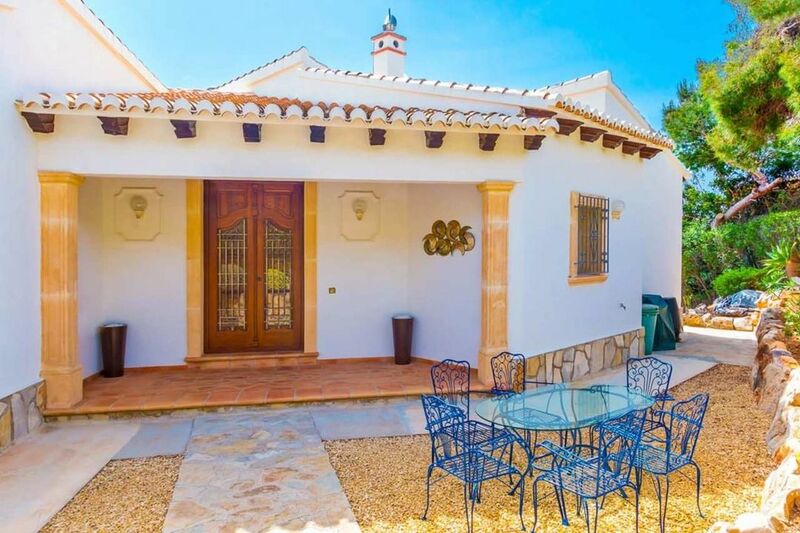 The property is bedecked with some gorgeous character features one would expect in a more traditional Spanish Finca, such as the large antique entrance door where upon entering you are greeted by the reclaimed wooden ceiling beams and beautiful handmade ‘Baro’ terracotta flooring. 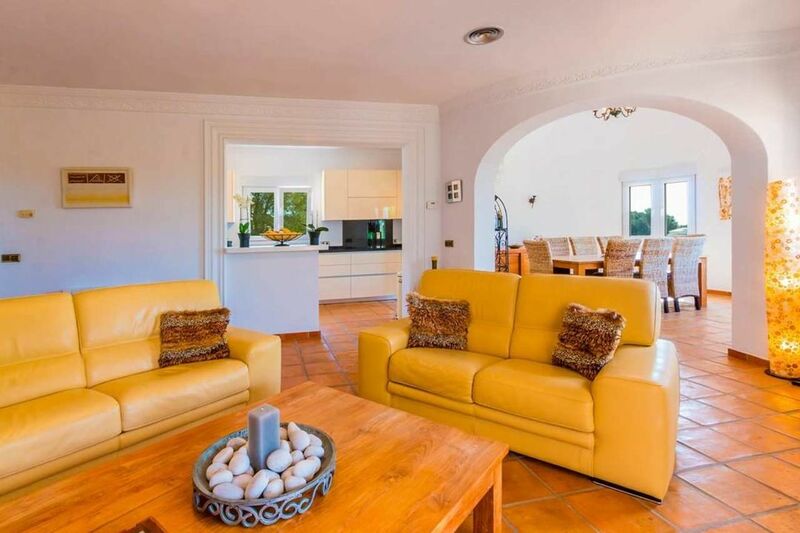 On the upper floor you encounter the generous size lounge and modern open plan kitchen with both leading to the feature ‘circular’ dining room with double height ceiling. 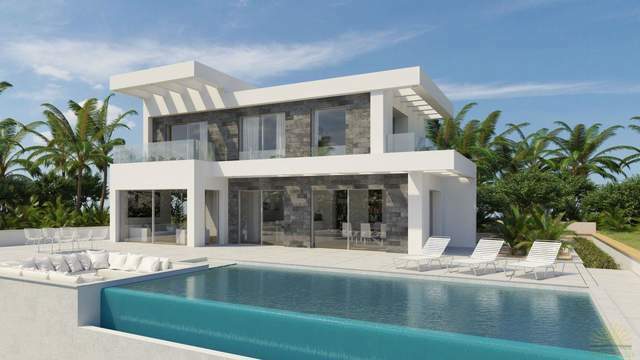 A covered and open terrace leads from the lounge/diner which also accesses the pool area. 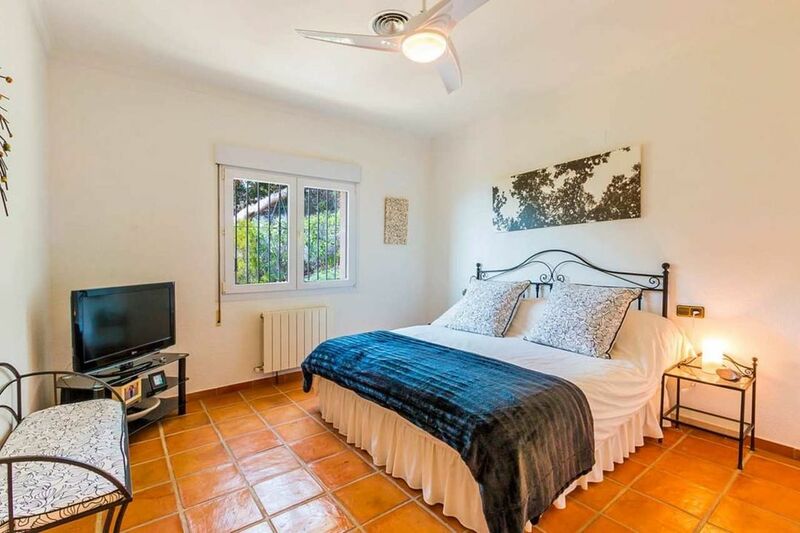 The master suite and an office are found on the upper floor, while there are a further 3 bedrooms and bathrooms on the lower floor which has internal access and separate access via the driveway. 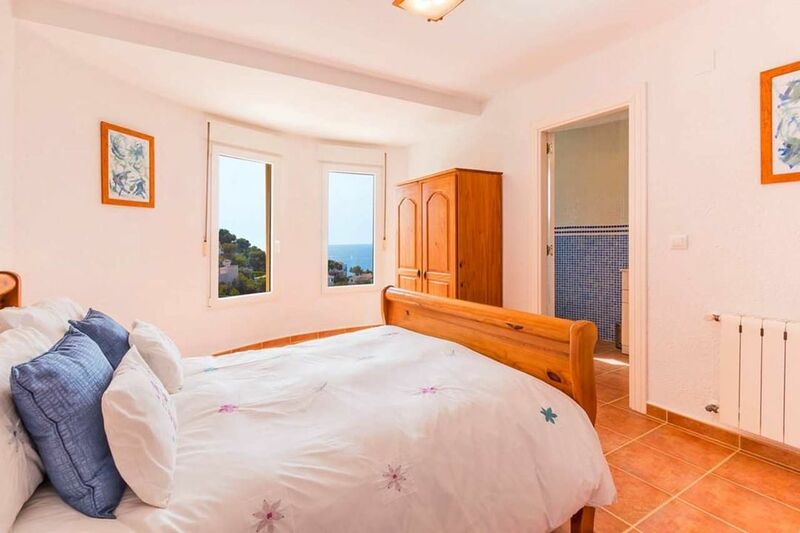 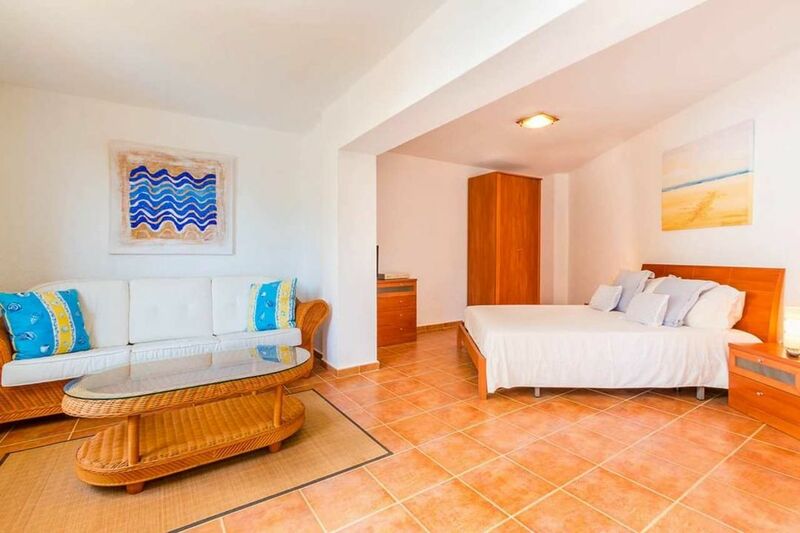 The lovely open views to the sea can be enjoyed from most of the rooms on the upper floor and the lower level. 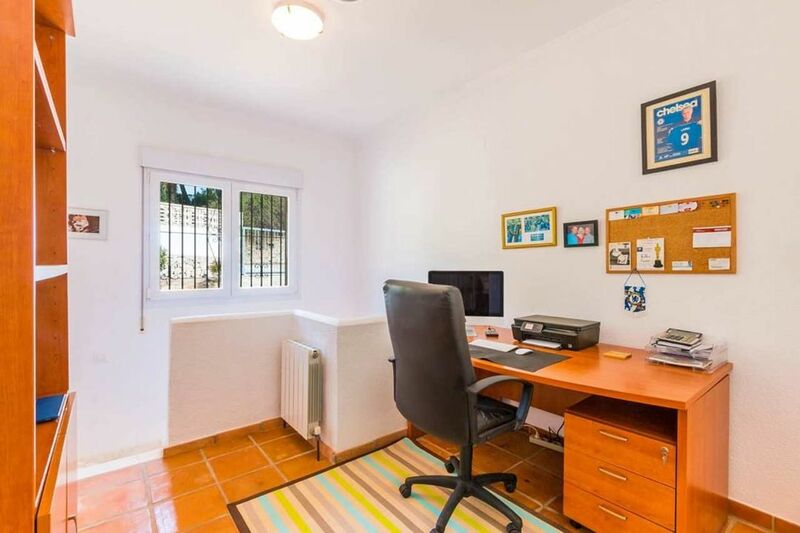 The property is presented in very good condition having been maintained to a high level by the current owners, it features good quality windows with blinds throughout, while there is gas central heating with ducted air conditioning on the upper level.